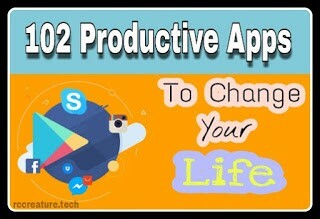 If you want to change or make your life into productive, then here I will share the top 102 productive apps to change your life. These productive apps are available in free or some paid, on both on iOS and Android . You can download these apps from your Google Play store or iOS store easily & quickly. So, without any late, let’s get started!!! The best planting app is forest. By it, you can plant seeds and grow a virtual forest. It also helps you avoiding obstructions while studying or doing work. From the launch of this forest app, there has been planted 1 million plus virtual trees. You can get this app in Android free & in iOS, you have to buy it. This app is a popular and very simple in interface. When you want to concentrate on something, then Tide app helps you pretty well. In this you can choose customize a mix of music and white noise or you may select any one of the fire options like ocean, rain, forest, meditation & coffee. If you want to download this app on your Android, then you don’t have to pay for this at where you have to buy this app in iPhone. Spark app is an e-mail app, only present in iOS devices. It helps you to read your emails by its “Smart Inbox”. It automatically detects important personal message, newsletter, notification etc. Like spark, it also does in reading your e-mails by its smart inbox. Its smart inbox shows your most important messages first and then other message. Outlook also integrates with calendar and other Microsoft Office apps. By which it is easy to set up meetings or edit a document. This app is available in both of Android & iOS with free of cast. The best e-mail reading app for Android is Bluemail. Till now, it has been got 4.6 out 5.0 in rating with 225K+ reviews in google play store. By this app, you can personalize your notifications & preferences for each & every e-mail account, customize swipe options, create groups for bulk e-mailing etc. It is available in Google play store at free. Todoist features a ‘smart schedule’ by which you can get best suggestions for doing tasks. It is only possible for its machine learning. So, for this, this app has got Google play Editor’s choice app stamp. Yu can also access your notes & to-do-lists from any device and also it is integrated with third. Party app including Amaron, Echo, Google Drive, Google Home, Dropbox & more. It is available with free of cost in both iOS and Android. If you are planning for a trip or getting ready for a work presentation, you can assign works to yourself as well as other using trello app. Normally, Trello works on different projects at once. So, you can quickly & easily complete your tasks. This app is available in both of Android play store & iOS with free of cost. For copy and paste handwritten notes export notes as PDFs or images Squid app is the best app for these. And also gives you a freedom to write in smart phone as writing on paper. This app is available in both & in play store with free. Bear app is helpful who are writing their notes on smartphone. This app helps you in saving time in writing. By its shortcuts, you can easily & quickly add links, italicize text and more. It is only available in iOS as free. LetterSpace app is a paid app, available only on iOS. By using this app, you can easily move the cursor by swiping left or right on the keyboard bar above. It is very powerful tool in typing notes, editing texts on a smartphone. This app list you set four customization types of tractors. By using its tool like Target, Habit, Average, track your goals and build better habits. It’s free in iOS. Habithub app is a motivative app that motivate you to form habits & reach goals by focusing on streaks. You can visualize & complete your goals by using this app. This is a free app, available in Android. Evernote is scanner app by which you can easily & quickly scan images, documents, notes and more. It can help you in creating new contacts on your phone. It is available in iOS as free. Till now, Cam Scanner has been downloaded with over 100 million in more than 200 countries. This app is a popular Android app that helps you in scanning an image, note or documents like Evernote. This app especially available only on Android with free of cost. This app lets you show the key insights if bestselling nonfiction books into 15 minutes reads or audiobooks. It gives you a simple & more time-saving way to learn something new. This app also lets you to download the notes & read or listen to them offline. This app is available in both of iOS & Android with zero cost. The best way for time-saving and reading news on your choice is Flipboard. This app allows to create “smart Magazines” around the subjects you really love. Just select your passions & enjoy a curated collection of articles expert voices & other. You can also create a “custom Magazines” by adding individual stories. This cost free on both iOS & Android. Then, what you think, go and enjoy. “If This Then That” is known as IFTTT in short. This app allows you to connect your favourite apps by creating “Applets” that make your life easier & more productive. 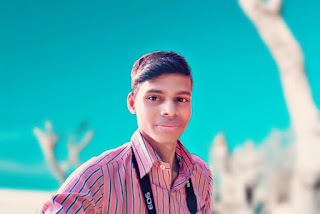 Let me explain that whenever you share a post on Facebook, it will share that on your Twitter as well if those both apps are connected via this. This app is available with free of cost in both iOS & Android. This is especially available on iOS. This app for notes and to-do-lists. You can customize this app like backgrounds, colours, fonts etc. You also can set alarms for specific to-dos & calendar events as it is paid. In this app you can do tasks, hobbies, habits & this suggests a suitable & best time for you to complete them. Then, you have options to accept or reject the tasks suggested. This is clever app that learns your busy & available times based on your input though it is not integrated with AI or machine learning. Normally in iOS, there is not available any virtual assistant as Android have Google Assistant. So, if you need a virtual assistant in your iOS, then install this app, Easily Do. It helps you to connect your online services & finds tasks to complete. It is very easy in use and helpful. This app is specially built for iPhone users. It is the best business process management software in the market. As it is simple and free way to manage your team’s workflows, procedures & recurring checklists. By it, you can communicate with your all employees and projects clearly. This is likely as IFTTT. As Zapier automatically triggers action & transfer data in increasing with every new app that is added. So, it will help you in making your life more productive. “Last Pass” is the abbreviation of “Last Password”. If you can’t remember your all passwords, then simply install this app. It automatically stores your all passwords even bank accounts in one place. Don’t worry about its security, this app itself is protected so you have to just remember one password. This app allows to track your work as whenever you go. Its basic version is free and is better than any browser. You can take it anywhere. So, by using this app, you can easily make your life productive & easier. This is a free iOS app available only in iOS. This takes time tracking technique one step further. Its method usually consists of an initial 25 minute timer followed by a short break. It is useful as it is adjustable, track-able & can sync between all your devices. The best cloud storage now is Google drive. It is accessible easily usable and can synchronise able to the cloud via your email. This app costs free as well as its all features. Docs, sheets, search, calendar are free. The documents produced from these apps are all easily shareable with colleagues & friends. And also it is a time-saving app. As like as Google Drive, One Drive is also a cloud storage. This app was developed by Microsoft Company. And also you can make your life more productive with one note, Microsoft Remote Desktop apps. All are easily synced on cloud systems such as one Drive & share point & easily shareable with others. This is paid app. It is more helpful in making your life more productive. It is the most robust and full featured productivity apps in the market. Things allows you to complete your to-dos and show you your calendar events. By this app, you can easily reschedule your plan if it changed suddenly. It is elegant in design & has most powerful features that helps you in making your life easier productive. In this biggest platform, 30/30 app is a newbie. It incorporates lists & timing of tasks into an elegant & easy to use interface. World’s best to-do list app is any-do-app. It helps you in maintaining it calendar, events, tasks & reminders. It looks a colourful that beautiful the eyes & also in your wallet. So without any hesitations, install it in your iOS if you are looking for. It’s also an iOS app. This app is specifically designed to be stylish & looking beautiful. It is very easy to use. You can manage your life easily with different modern features. It allows you to personalize the interface display. Asana stores your works which have done today. It updates you your work that you follow daily. You can add tasks reminders & ideas quickly. It’s developed by a strong team committed to make collaborative task management a more efficient & effective experience. Flow Tasks app helps you in gathering your all works in one place. You can stay up-to-date with your teams work by it. And it also helps you in sharing ideas & discussing tasks with your teammates. It’s really a gorgeous collaborative task management app & very easy to use. This app focuses on events that help you keep track of upcoming events, tasks & reminders quickly & easily. It’s available only on iOS. You can also organize your events & meetings. With over 2 million people are using this app. This app is an innovative list making app that relies on pinching & swiping to make thing happen. You can personalize this when you are inputting tasks to dos & reminders. An amazing reminders app that helps you store and organize reminders of all types. Also in this you can customize your tasks & more. Go & download this app in your iOS. Chekmark lets you to mark your favourite locations that you would love to go daily. It helps in adding date & time based reminders faster than a calendar. It is a simple and easy to use. It’s interface is quite simple. Its design is incredible. It you want to track & associate dates with tasks, then Teux Deux will be right app for you. Another best task clearer app is Wunderlist. By it, you can also add reminders, due dates tasks, to-dos & more. It helps you in planning for work, home & everything in between too. And also brief lets you to share the lists & assign to dos. If you are a GTD enthusiasts, then Nirvana is the perfect app for your work. It frees your mind to focus on actually getting things done & also it get organized the due dates and more. Priorities is a wonderful and elegant in terms of design. It has already received decent review. It helps you in syncing with priorities cloud and more. With this app, you can create a rewarding daily habit routine. Its interfaces is too pretty & easy to use. You can schedule habits for any time of the day, set smart reminders & track with useful feedback. You can create an avatar and truck your real-life hacks. You can build habits & complete your tasks easily. Habitica also helps you to input your daily goals, to-do list quickly & easily. Streak follows the model of that you use the app to track how you are doing in the pursuit of your goal. It also shows you the statistics of your all time progress. This app is also a task management app by where you can input tasks, reminders, to –do lists etc. You can easily shows your lists with you friends by using it. It also helps you to stay magically in sync on all your devices. In journalism platform, the best iOS app is Day one. Its latest update added a feature that can make you a journalist. You can track the detailed history of your life by this. Now–a-days it's a popular app. As I am also using this app. It detects and notifies you which are spam calls and SMS. And also it identifies the unknown numbers easily & in a less times. With a community based spam list from 250 million users, you must have to install this app. Doodle lets you to plan and organize meetings for more efficiently & effectively. You can know more about this by googling. Many authors ware been written on this. In iPhone, there was Dropbox. And also it lives still now. It is widely used by Mac & PC users all over the world. You need to download this in yours iOS. It is same to same truecaller app. It identifies unknown calls, spam calls & also adds an image or photo to your contacts from social media like Facebook, Instagram, Twitter & Google+ . The best & most popular file-sharing apps for iOS user is Droplr. It’s also an important app for iOS. By using it, you can make your life easier and productive. One of the most popular file-sharing & easy, simple interface apps is Share It. It is available for both iOS & Android with free of cost. By it you can easily share the photos, videos, documents, apps with large storage in few minutes with your friends, family & others. Its virtual assistant can help you in clutter, creating follow up reminders & highlights e-mail that required your attention. Its latest update adds new design, AI improvements & more. Like Astro, Trove is an e-mail enhance app. It helps you in providing insights on you inbox. This app is also available in both iOS & Android with free. It’s quite similar to Astro & Trove. It is not free. You can get it in windows & Mac too. It lets you to read receipts, scheduling, cross-platform snoozing, which sender profiles and connects to third party apps. Google calendar is the oldest & most popular app. By this you can simply set reminder events, works & many more. The interfaces is so simple and easy to use. This is the best calendar app remain till now as compare to other third party calendars. NOW, Google calendar is available in iOS, Android as well as on web. It is the best app for taking notes with an apple pencil. It helps you to record audio and handwritten notes easily. The app is also an annotation & powerful drawing tool. It is only available in iOS and Mac. It has a neat and clean interface for putting words on the page. It’s a paid app. You have to buy this if you need. It has a lots of premium features like file tabs, focus mode etc. It’s now available only on windows. If you weak in English, then don’t worry Grammarly can help you in writing. It’s basically detects the spelling of the words & gives some suggestions to write better e.g. ‘the elephant’ as ‘an elephant’. You can find this app in both iOS & Android. The best photo editing app is Lightroom. It is developed by Adobe Company. There you can easily add effects, add texts with many fonts, resize your photos, and many more. This app/software is also available in both iOS & Android well as windows & Mac. Otter lets you transcribing the recorded conversations. This saves your time more. You may not get perfect transcript, but you can still hear the audio- You can know more about this app in google or YouTube for demo. If you love keeping in touch via text message, then this texting app is the best for you. You can turn off easily notifications & check your group text during interval time period. It can also help you in making team projects or checking in with natural employees. Venmo is more useful app which lets you to keep you organized in your personal life. It helps you to track your date of holidays, birthdays & also your personal events. It’s a free app. It is a special type of plugin to Gmail, outlook and android. Mainly it helps you in dismiss messages from your inbox and then to reappear in few hours when you are ready to deal with them. It’s free for Android and paid for iOS. It’s a basic word processor for Mac, Linux & Windows. Its main target is to maintain distractions, so that you can easily focus on your work. And the other functions are spell-checking & word-count which are internally built in. Focuslist is specifically for tasks, to-do list and it provides the time according to your work. When you start work, countdown timer appears in the screen. This app also helps to keep your brain refresh and more productive. At the end of the day, you can track and review your work & productivity by it easily. Although there are more apps are offered for teleconferencing services join.me website is one of the best in this. It is available in free as well as paid. In free service, you can chat with only three participants at a time. If you want to expand, then you need to check their site. This website helps you in typing as you listen. It works well with YouTube videos as WAV files as an extension. It’s available for chrome with free. Papier is also an chrome extension that replaces the default ‘New Tab’ page with a notebook. You can paste links at the jot down notes. There’s some basic format i.e. headings & subheadings. By using this, you have not to worry about saving or syncing as it does automatically. Now, it is available as a free in chrome web store. RescueTime is available for Android, iOS, Mac, Linux & also windows. Its main work is to track the applications & websites that you use. At the end of the day, you can see the reports where you spent your time less & more. And according that you can easily make your goal more productivity. It’s a file sharing system with an instant messaging app. By it, you can easily send private messages or exchange messages & files. You can also make voice & video call through this. It has a two version i.e. free & paid. There is a limit of 10,000 messages for free users & no limit for paid users. If you are busy in driving in full of the day, then this app can help you lot. By installing & using it, you can simply speak to search in any documents or article and your text content will appear. Gmail is developed Google Developer team. It’s easy to use for its simple & clear interface. I know you have a Gmail account or ID & using Gmail app like me. So, I think I have not to say anything about it. As name indicates that it is a robot, and for this robot, you can order to clean home from your smartphone. I think this might be come useful so, I have included this app in this list. Duolingo is a learning app by which you can relearn your languages in funny way. Every part of this is painless funny & short. It might be helpful for your child. And the most important thing, it is a free app & you can find in both iOS & Android. By this, you can easily learn the classic languages. Rosetta store app is a award-winning app that teaches up to 24 classical languages. It’s really helpful to you if you are looking for a classic-language app. Audible is the world’s biggest collection of audiobooks, podcasts. This mobile app allows you to bear your chosen content. Go, and download this app in iOS & Google play store. This app is made by Amazon. These three software are also available in iOS & Android with free of cost. These are developed by Microsoft Company. These are supported OneDrive, Drive & Dropbox for easy sharing. So these have also big role in productivity life. Hours helps you to track your working hours, shifts & schedules. It is available in iOS as fee. You can set notifications, easily stop, start & change timers & can view tracked hours on a calendar. Notion is integrated with artificial intelligence (AI) that help you to check your email easily. You can also customize notifications & can personalize. The good thing is that it supports Gmail, office 365, G suite & IMAP email services. Podcast is owned by Apple. It’s only available on iOS. This app lets you to download any episode to your library so that you can enjoy it anywhere, any time. It helps you in making playlists of podcasts. You can discover new podcasts from its 1st page too. When you are driving, then you can also enjoy the podcasts by enabling car mode in it. Kobo book is an e-reader app. It has also a vast amount of audio books & e-books. You can easily read the e-books at night by enabling night mode feature and the most thing is its book title comes up to 11 different languages. It is for Apple devices, it is the best app for reading eBook. Here you will find more books with different names like cookbooks etc. You can also discover art & photography books here. It’s the 1st mobile new app. You can browse more than 6, 000 different publications by searching in offline. Here are some subscriptions available that you might get through this mobile app. With kindle, you can read full content from your smart phone or tablet. It’s owned by Amazon. I don’t want to tell more about this as you know more than me. Right? Simply, if you don’t like newspaper & having a i phone, then install Apple News & stay updated always. Here you can store your favourites & choose from them with a simple touch. The best way to save contents from browser, emails or from social Medias is pocket app. You can save posts or articles like videos, text, images easily via this. So, whereas Evernote is the best app for content storage, pocket is the perfect app to bookmark & read later. It has a 350,000 of recipes. You can choose any tasty recipe and prepare the meals. Use this app to make tasty recipes for breakfast, lunch & dinner. This app lets you to set nutrition goals and set parameters for any dietary foods. And it also helps you in finding the groceries which are available in your area. Pepperplate provides you a personal cooking assistant. You can easily plan each meal gathering ingredients. It’s all your personal menu, cook book & grocery list. This app is available on iOS as well as Android. It helps you to set a step goal for each commutes. You can access your wearable wrist device by this app. If you want to be fit, then this app will help you more. Son download his app in iOS. It is useful in your Twitter account. It helps you to clean up your follower count. It’s a free app. You can download that from your store. Twitter is also the biggest platform. Through this, you can send direct messages, replies to you tweets & latest posts. I don’t want to say much more about this. It allows you to view your new connection requests, direct messages, notifications & others like saved job searches. You can also see the latest updates from you professional network. It allows you to discover new topics to pin to your personal ‘board’ while you head into work at here. You can too browse you favourite account & save the infographics & others. Instagram app helps you to send direct messages to your friends or co-workers easily & quickly. As Facebook is the No1 social media company Instagram is at No.3 right now. It was developed by Google Team. 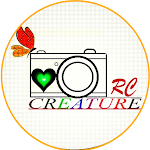 This is also the biggest platform at where you can share your works brands with people easily. You can post photos, videos, etc. here. Also I don’t want to speak more about this. WhatsApp was released before some years & it is the 2nd largest social media with privacy & security. You can direct interact with your clients, friends, family or others whose contact number will be saved to your contact list. So, by using this app, you can also change your life into productive. This app works really well and it has turned out to be one of the most favourite apps among users who prefer taking up flights. It is not always necessary for people who are planning for their vacation but being a working individual, you may often require traveling across places within your country as well as in abroad. In that case, this is a compulsory app for you that will keep you updated about the cheapest price alerts for booking an air service. It will notify you when to buy your travel tickets via push notifications. The user interface of this app is absolutely simple and you can book your tickets in less than a minute without getting into any sort of mess. When you are planning your next trip, use this app to find hotels, restaurants and more in order to avail a smooth and stress-free travel session. So, friends, finally I am going to conclude this post. I have written this post by researching and reading some of the best articles which have been already published on the best productive apps ! Hope you enjoyed lots in reading. If you really enjoyed this, then please share your thoughts below that will motivate me to write more articles. This really is additionally the largest system from where one can reveal your own functions manufacturers along with individuals very easily. You are able to publish pictures, movies, and so on right here https://www.cocospy.com/snapchat-spy.html. Additionally We don’t wish to talk much more relating to this. Text messaging is one of the most powerful ways to increase the sales and no matter which business you are in. I am so satisfied with the results gained through our messaging campaign that we have been running via a popular app for text marketing for real estate agents.